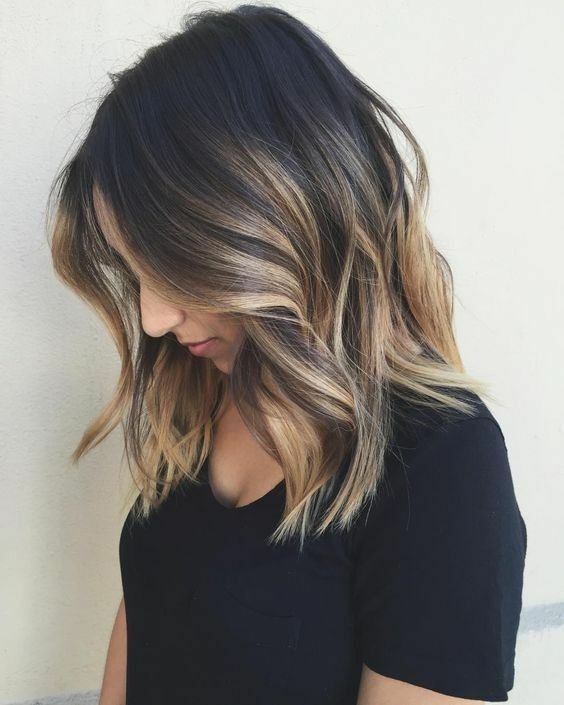 After the hot ombre hairstyles, more and more people trying the balayage hairstyles these days, Balayage is the latest hair trend and can offer you a gorgeous look in an instant. 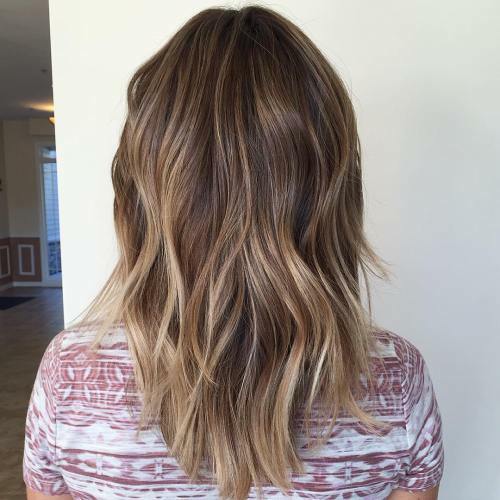 Here are some great balayage hair color ideas for shoulder length hair, enjoy. This absolutely stunning hair is fit for a princess – particularly due to the breathtaking ringlets she’s worked through it, and we are utterly infatuated. 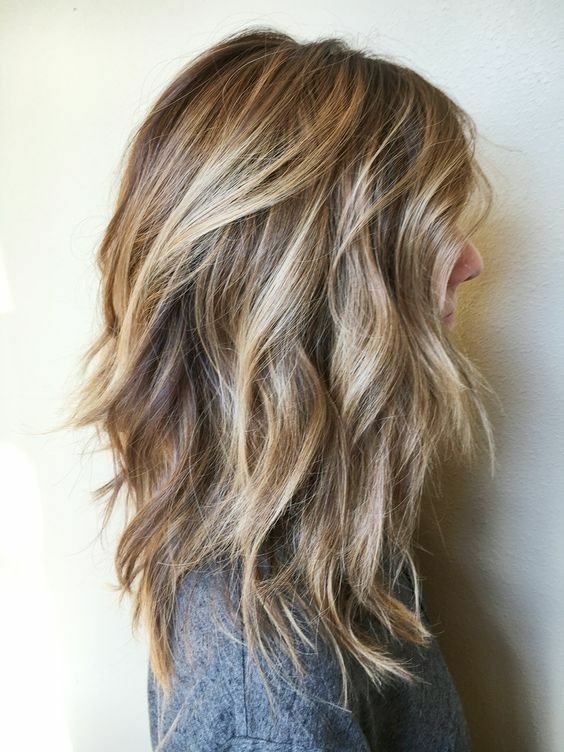 Her shoulder length bob is finished with shorter layers on the top to create a wonderfully bouncy finish, and a stunning balayage colour job that takes the hair through a rich brown, a striking copper and a vibrant blonde all at once! 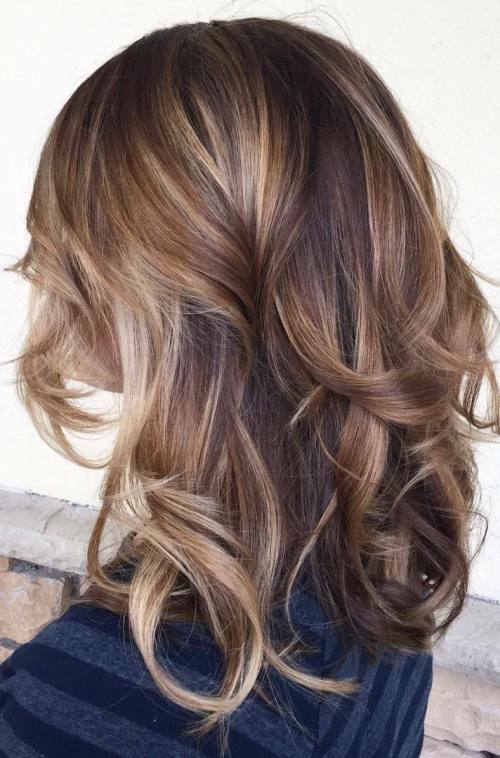 We think this gorgeous balayage transition looks even more stunning on this shoulder length cut which is finished with huge and bold barrel curls to create the most stunning Hollywood glamour. From a stunning mahogany brown to a beautiful lighter chocolate colour, the colour blend works perfectly through these big curls and we are in love with this style. 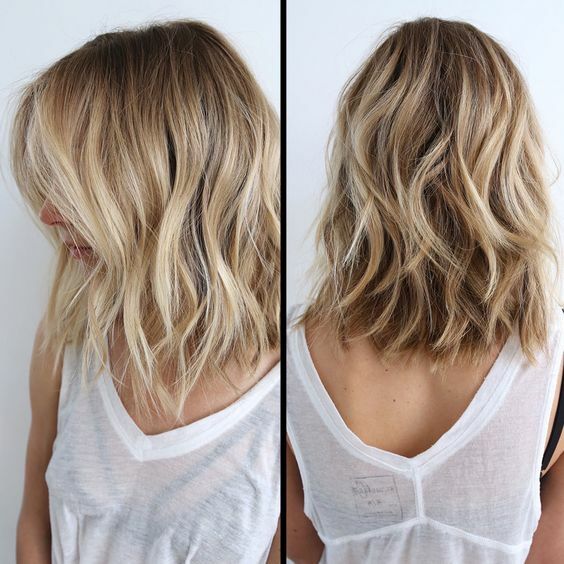 This gorgeous graduated bob goes from a shorter length at the back to a slightly longer length which frames the face, and her hair has a stunning and beautiful glossy finish to die for! From a stunning chestnut brown at the root to an ever so subtle toffee toned brown which gentle kisses the end of the hair, this lady has curled her bob for a beautiful and bouncy style. 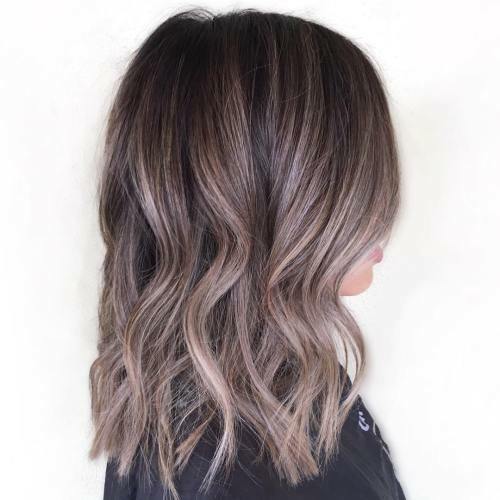 This glorious shoulder-length style reminds us of Kim Kardashian’s wonderful hair cut – but with a beautiful balayage twist that we just can’t get enough of. 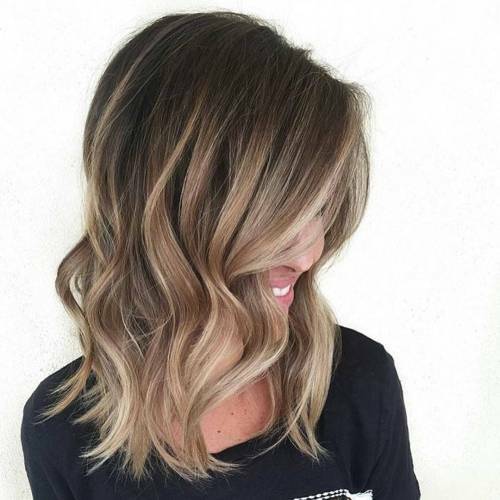 Her gorgeous brown hair has been lifted no end with a blend to an ash toned blonde towards the end, which is perfectly complimented by the curls scattered throughout the cut. We love it! 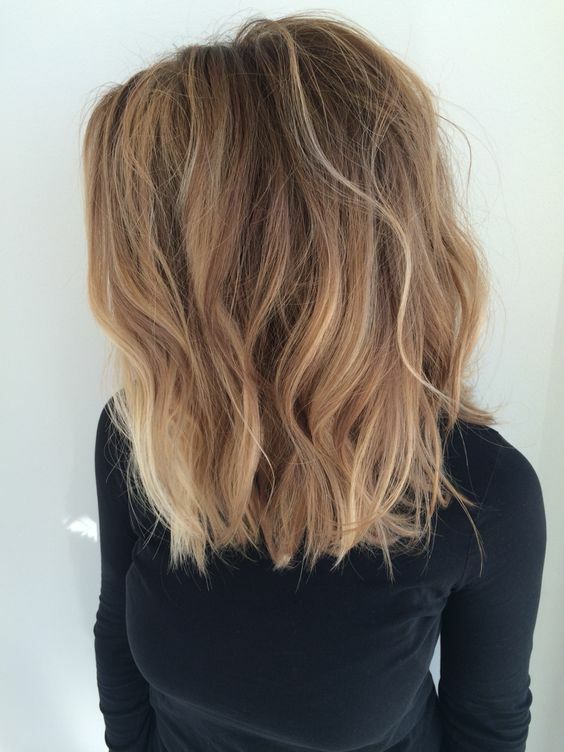 Possibly our favourite way to work a balayage look into a hairstyle is by subtly adding a different colour to the ends of your hair, adding a gorgeous light and lift to your existing colour – exactly as this lady has done here! 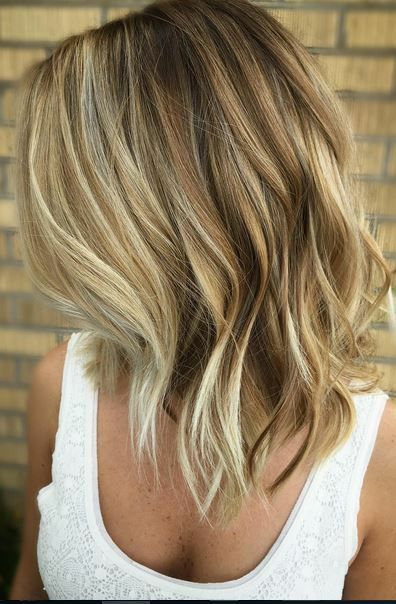 Her base colour is a beautiful red toned brown but the ends are a gorgeous light blonde, which looks stunning on this loosely waved style! 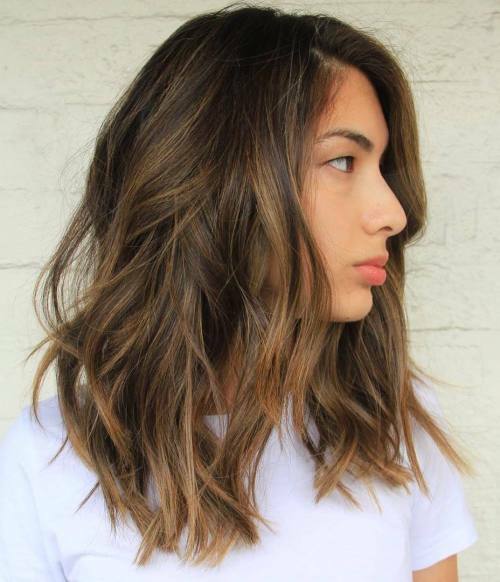 This beautiful shoulder length cut has a side parting and is all in one lovely layer, offering a unique sleek style which looks stunning – particularly when coupled with a balayage colour job! This fabulous lady has gone from a rich brown to the lightest blonde in an effortless melt from one colour to the next, with a caramel tone in the middle. We love it! 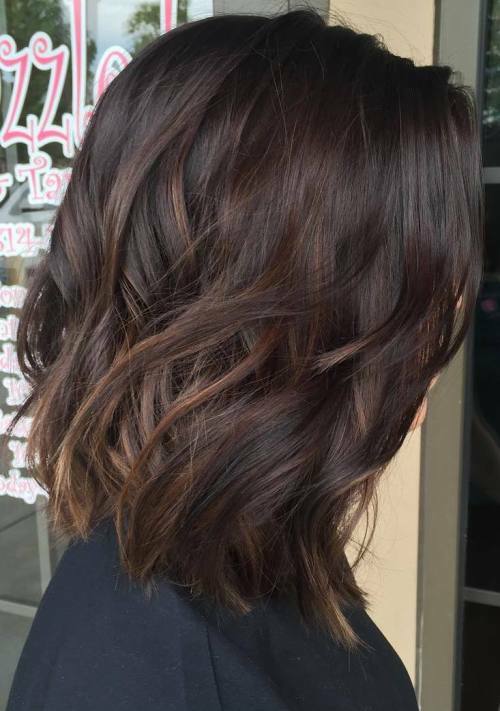 This stunning mid-length hair cut is a beautiful combination of rich brown tones, from a deep and dark brown to a gorgeous lighter brown colour, blended together in a simply stunning balayage effect which we just adore. 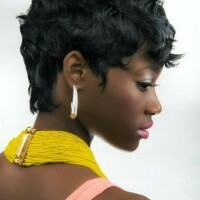 This cut is finished with shorter sections of hair framing the face, and a roughly tousled curl throughout which is the perfect smart/casual style. 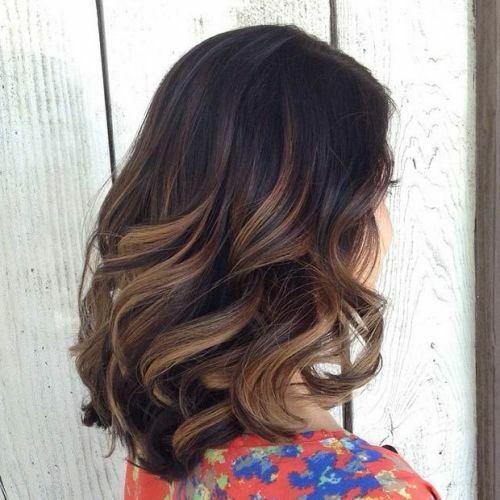 This lady has styled her absolutely gorgeous long hair to perfection! She’s opted for a centre parting which falls into beautiful ringlets around her shoulders. She’s opted for an incredibly subtle brown balayage colour blend, going from dark to light in a completely natural and striking way, perfectly accentuating her gorgeous curls!